"A tragic past but that tragic past where many people died and left homeless have sacrificed themselves to give way for a vibrant industry for the future." I only see it on postcards and history books. Everytime I think about Mayon volcano, this image is what comes to the depth of my brain's capacity to imagine and recall. It is the Cagsawa Ruins. 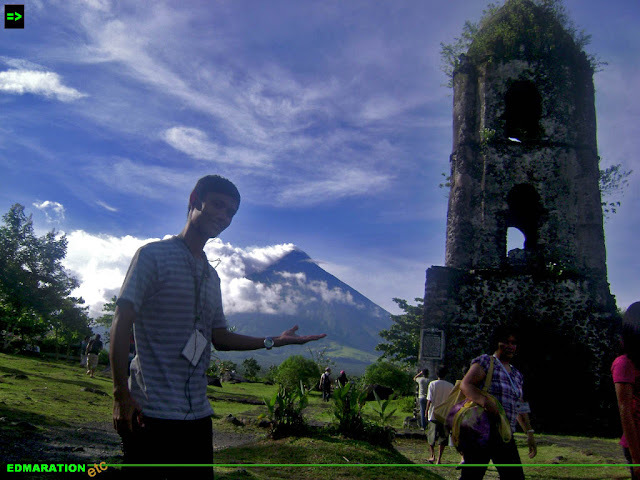 The one with the old ruined belfry and the almost perfect cone Mayon volcano at the background. Nothing else but this is really the set up that I can see at the back of my mind. 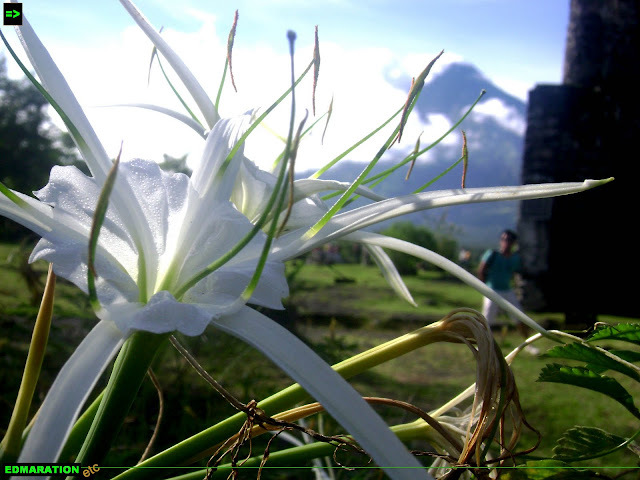 The old Cagsawa Church was totally demolished by natural intervention and behind that tragic event was the beautiful Mt Mayon - a vivid beauty that hides a potential threat. The belfry stood still. The forceful harm of Mt Mayon wasn't strong enough to knock out the belfry totally. If Mt Mayon thinks that it has defeated the faith of the people, the volcano must be wrong. Because in the contrary, the wrath of the volcano is what made this landmark phenomenal and famous. If the destruction never happened, there will be no Cagsawa Ruins up to date. Entering the area is not an easy task. You have to take that narrow rough road [but construction of road is on its way] with some muddy parts, worse if it is raining. You also need to cross a river with large volcanic rocks that seemed to hinder us from entering the site. As we reached the place, it is different. The once center of the Christian faith of the people of Daraga, Albay until February 1, 1814 when it was erased in the living treasures of history due to the eruption of Mayon is now a ruin. No church goers, no devotees but tourists. 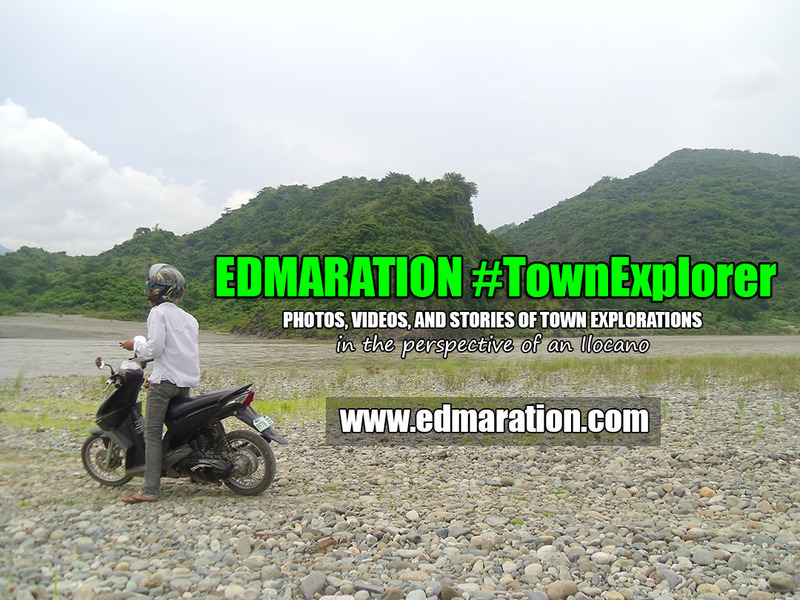 It has been ruined but as the time passed, the ruins turned to be the never ruined asset of tourism in Bicol region. A tragic past but that tragic past where many people died and left homeless have sacrificed themselves to give way for a vibrant industry for the future. The victims of the eruptions surely have no capability to predict what might happen in the future after that 1814 eruption but whenever they are right now, I am pretty sure they'll be happy to see the vibrant economy of Albay and one factor to this is tourism brought by the famed Cagsawa Ruins, a symbol of tragic past where they were once a victim. Entering the premises of this ruined structure is not free. 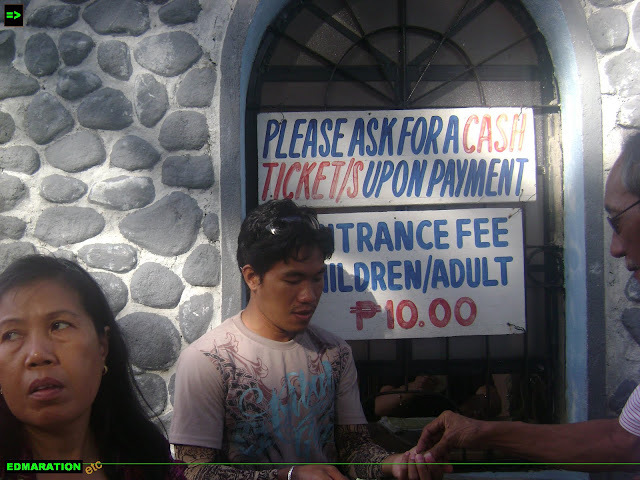 Whether you're a child or an adult, it doesn't matter, you need to pay 10 pesos as entrance fee. 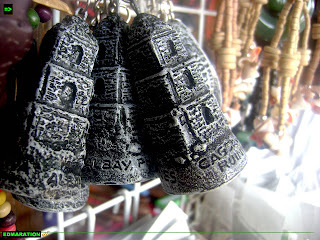 Inside and outside the premises of Cagsawa Ruins is a thriving industry. Stalls for souvenir items are popping out like a mushroom benefiting some organizations and people making those products sold to tourists. The set-up is now different. The religious aspect in the area has no room for the tourists because they are not here to pray, there are here to have fun - for leisure and enjoyment. 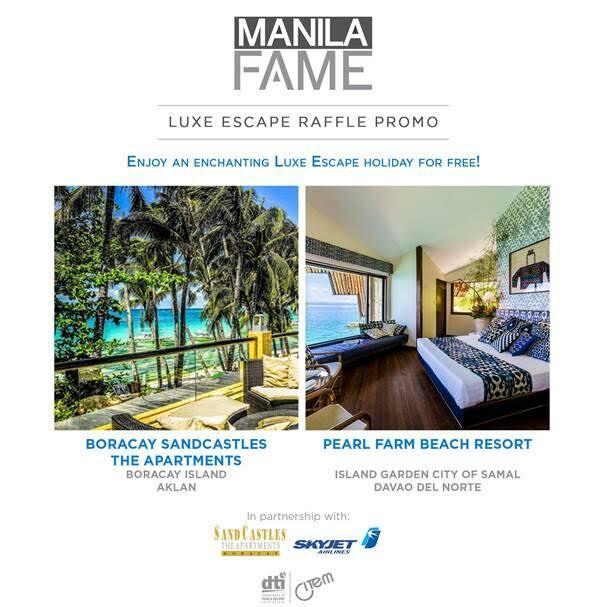 The once religious place has now transformed as a commercialized area taking advantage of the great deals that tourism can bring. It is very noteworthy that Cagsawa Ruins was never just a ruin. 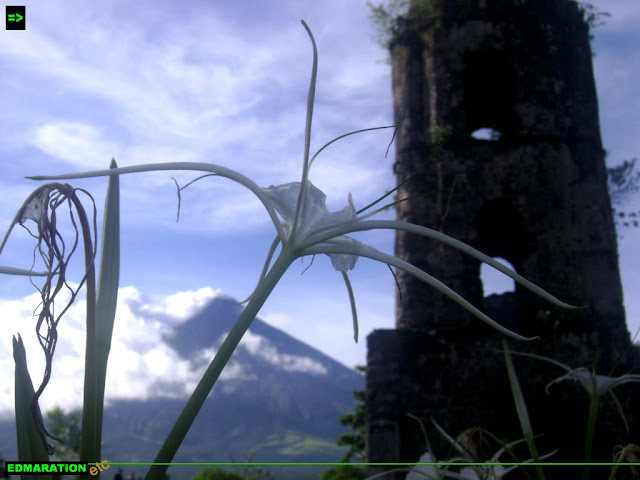 It became an asset of Bicol, a famous landmark frequented by tourists. With this I am very happy aside from the fact that I have seen in person the picture I used to see in postcards back then when I was in elementary but seeing the place being an asset and a great help in the region's tourism, I can now unleash my verdict that Cagsawa Ruins was never ruined!